This Day Be Yourself . . .
Be yourself. 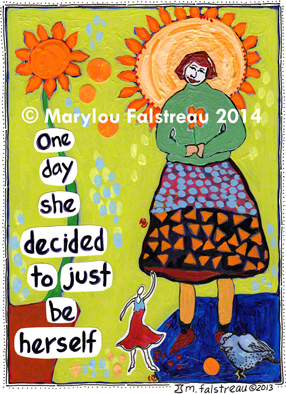 You were designed to be yourself and no one else. You are unique in all the Universe, living in a world that needs to see someone just like you with all the blemishes and all the beauty. This day Be yourself. Find Joy In The Small Things . . .
Continue To Follow Your Path . . .